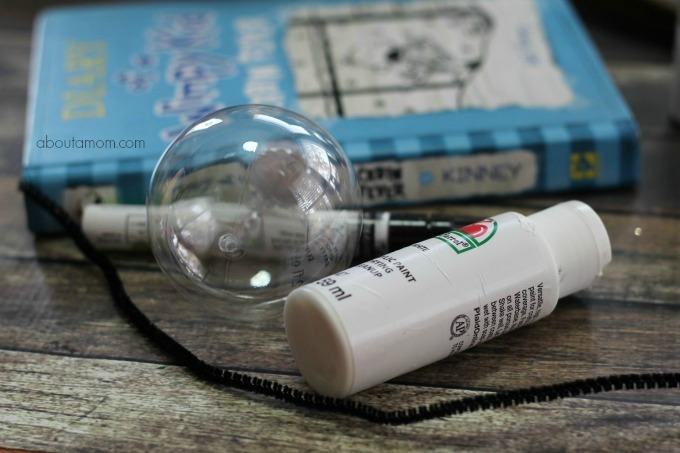 If you have a kid in the 7-12 age range, who loves to read, chances are very good that you have a Diary of a Wimpy Kid – Greg Heffley fan living with you. If that is the case, this is an ornament that your kids will love to put up on the tree. 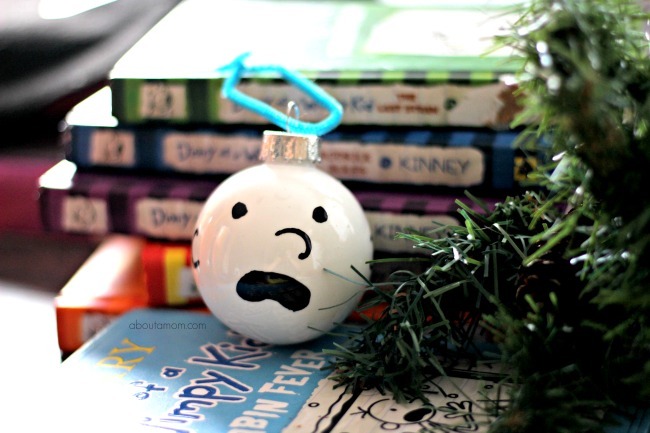 It is really simple to make a Diary of a Wimpy Kid Ornament. To make a Greg ornament is a few items. Nothing complicated. You can pick up a box of about 8 plastic ornaments for around $4 with a coupon at Hobby Lobby,Walmart, or even order them online at Amazon. Once you make your first ornament like this, you are going to be hooked and will want to make more so it is worth the small investment. You can opt for the glass ones but if you have kiddos I highly recommend the plastic ! We also used these clear ornaments when we made our Reindeer ornaments. 1. Start by removing the hanging cap from your ornament. 2. 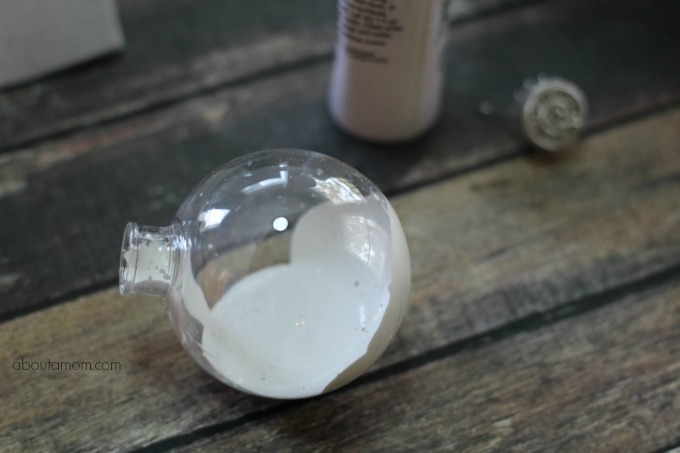 Squeeze in about a tablespoon of white paint inside the opening of the ornament. 3. To get the paint around the ornament, roll, shake, and shimmy your ornament around. You may want to cover the opening with painters tape to keep the mess contained. Add more paint if needed to coat the entire inside well. Kids love this step. 4. 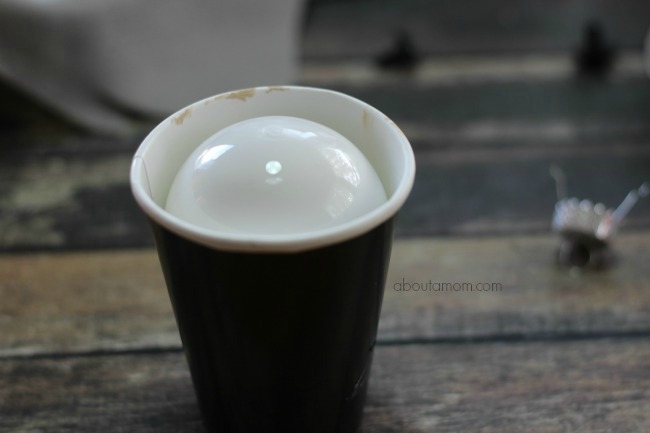 Flip the ornament upside down on a paper cup and let excess paint drip out for a couple of hours. Wipe the neck of your ornament well with a damp cloth then replace the cap. 5. I recommend that before you or your child draw on the face you draw it out on paper first. Pull out one of the books and give it 5 minutes of practice until you are satisfied with the features. Then draw simple features using a black paint pen or sharpie-ears, eyes, nose, mouth, and ears. 6. Allow to dry before hanging. 7. Add a 6” length of string, twine, or ribbon to your ornament for hanging. This ornament look so cute! 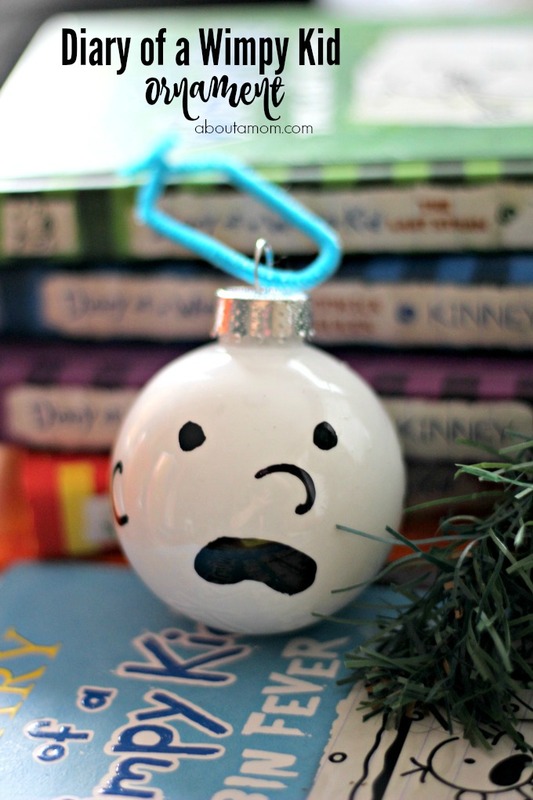 I need to get my kids to make these adorable wimpy kids ornaments. They are so cute! Thanks for the idea! This is such a cool and simple idea! I love it! Thank you!! This suits my son’s year perfectly! !